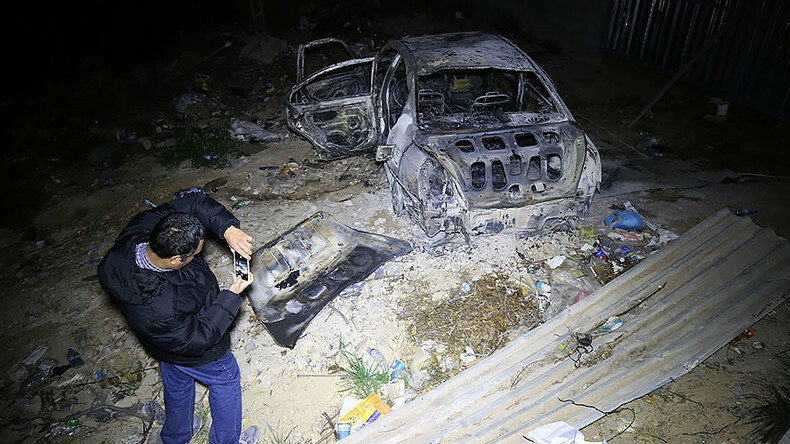 A car bomb exploded late on Saturday in the centre of Libya’s capital Tripoli. The blast, which left at least two people dead, struck near the recently re-opened Italian embassy. The two people killed in the explosion were presumably the occupants of the car, and whose identities were unknown, a local branch of the Red Crescent said. Police cordoned off the area and removed the charred remains of the car from the street, according to Reuters. The blast happened some 350 meters away from the recently re-opened Italian embassy. Libya’s Ministry of Planning and the Egyptian embassy, which is shut, are also near the site of the blast. It’s still unclear whether the blast was a terrorist attack or an accidental explosion as officials are looking into the incident, AFP reports. Italy was the first western country to reopen its embassy in Libya’s capital after announcing the move on January 9. Libya has been engulfed in chaos since the 2011 NATO-backed ousting and killing of leader Moammar Gaddafi. Tripoli has been hit with numerous bombings ever since.